i never know that there is a phone in pandora world! wow this shot of the trio is so adorable! awwwwwwwwwwwwwww omg! such a beautiful scan! I love it! definetely ???????? it! Oz looks so romantic! and Gilbert... *0* thanks for sharing! Totally cute scan... :D thank you so much! What a warm pic~~~Thanks for the great scan! Love it! Thank you for sharing this image! Thats a super duper awsome scan and a rather cute one too! I love the atmosphere in this picture! 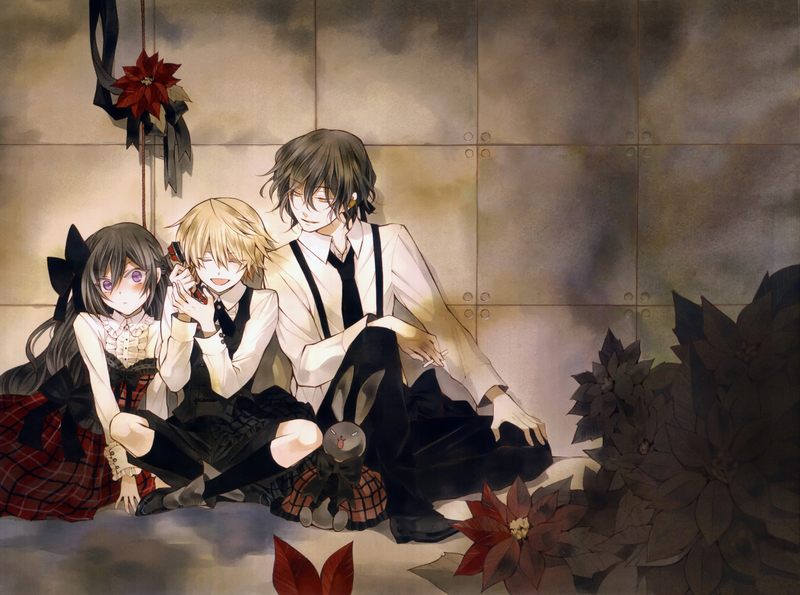 One of my favourites from Pandora Hearts. ? What a cute picture, they all look happy together!